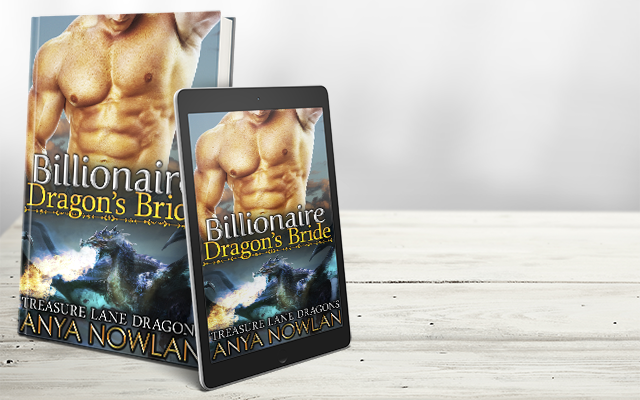 Author Anya Nowlan’s Website » The Wolves’ Bride is now live! 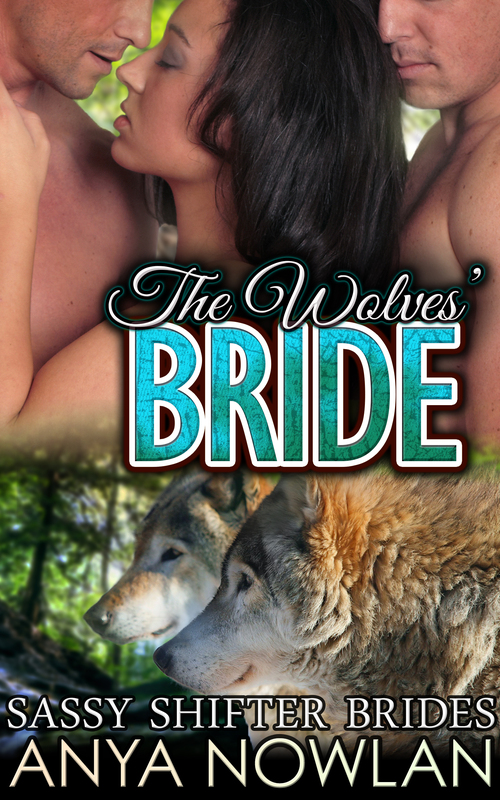 The Wolves’ Bride is now live on Amazon! 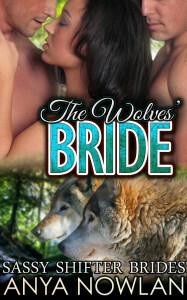 A steamy new menage romance, it is the 5th book in the Sassy Shifter Brides series. Sabra Adams knows what she wants. The curvy engineer wants a life worth living, a man worth loving and a family worth dying for. So it’s no surprise that working for unscrupulous people in damp, musty Florida without a moment to call her own isn’t exactly all she desired out of life. 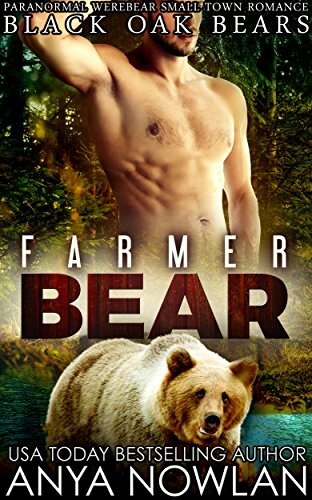 So, when a mouthwateringly hot cowboy asks her to spend a summer in cool, gorgeous Idaho, there’s nothing left to lose and everything to gain. But is Sabra prepared for not meeting just one man who takes her breath away, but two? And what’s a woman to do when she just can’t decide? Trey and Tyler Warfang are no strangers to hard work. As Alpha twins, they were destined for greatness, but greatness without a third to finish their Alpha Trifecta is impossible to come by. Not any woman would do. No, she has to be the one. The kind of woman who stops both of them dead in their tracks and brings the quiet, brooding Trey and spirited, always grinning Tyler together into a complete whole. They haven’t met her yet, but Tyler is determined to find her. When he sees Sabra on SassyDate, he knows she could be the one they have been looking for. But finding love isn’t easy when there are forces out there who don’t want to see the Trifecta formed. So, what’s it going to be? Two hot werewolves or none at all? Roar for Her is now live!